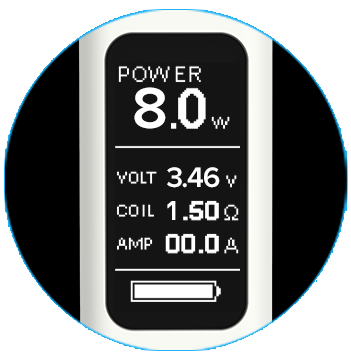 high wattage conditions. 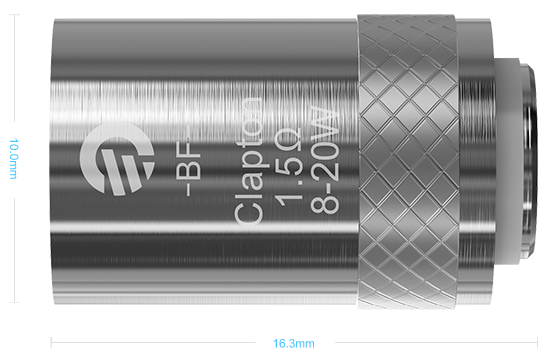 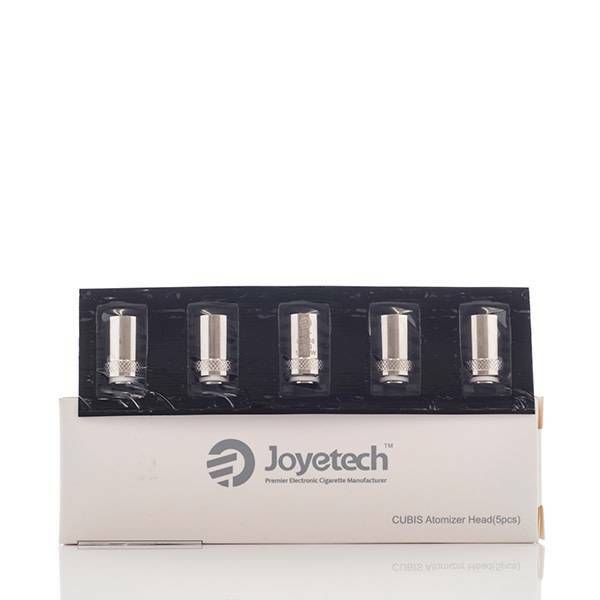 It will surely bring you a great vaping experience. 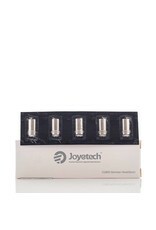 but also TCR mode where customer can set their own vaping preference. 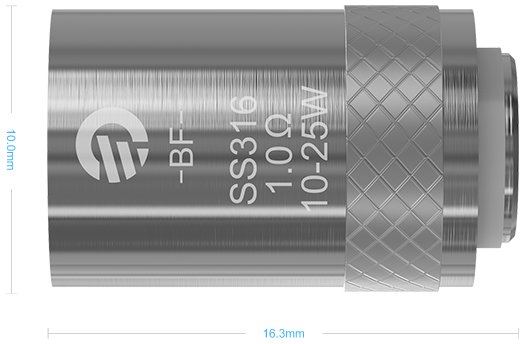 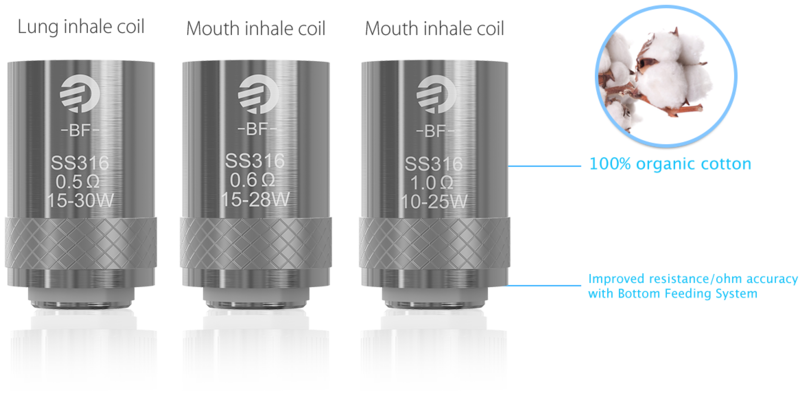 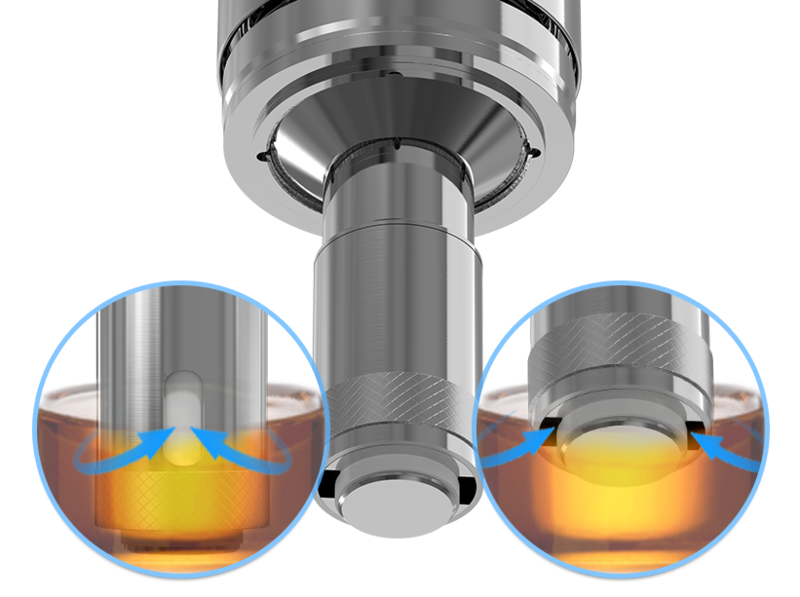 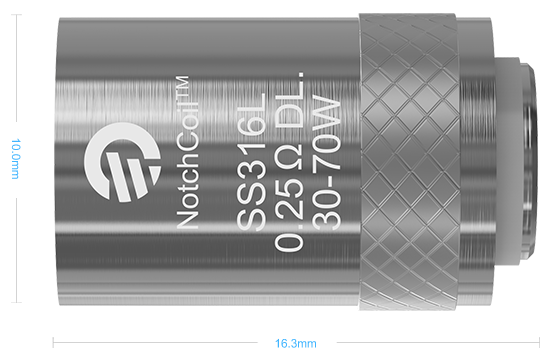 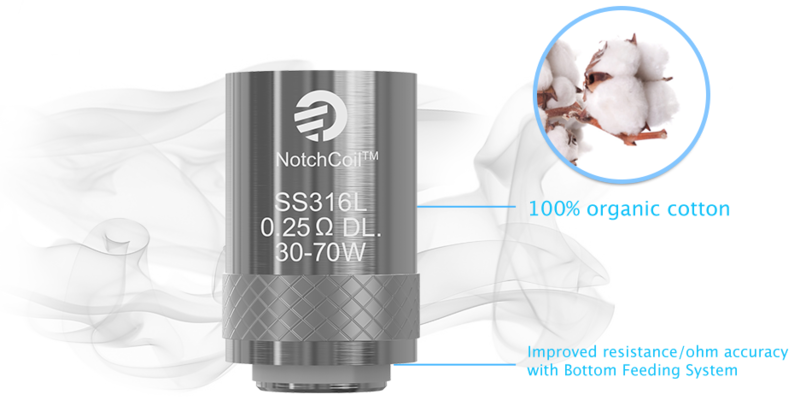 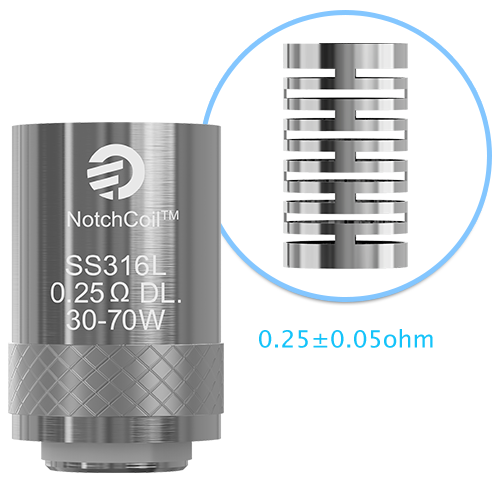 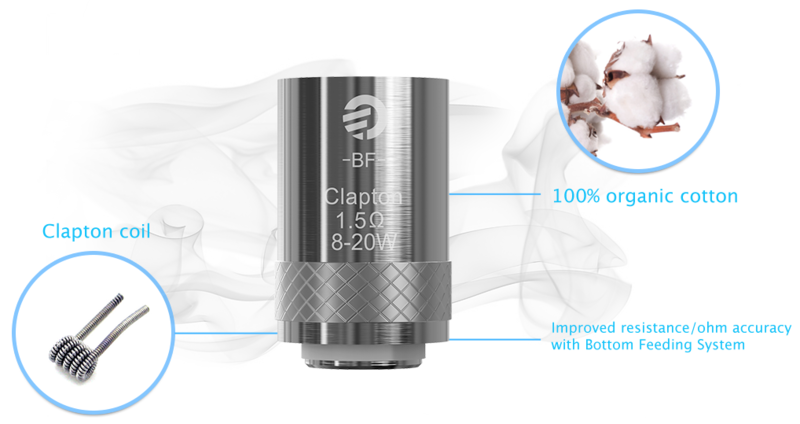 Notch Coil 0.25ohm head applies both bottom feeding ejuice inlet and side ejuice inlet. 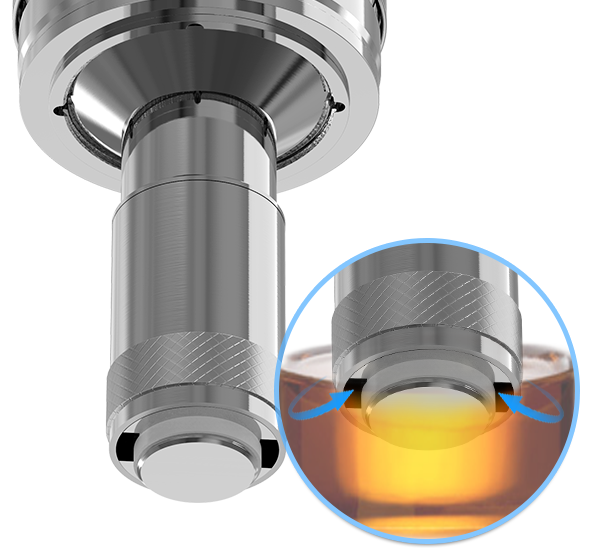 but also TCR mode(on compatible devices) where you can set your own vaping preference.